Spinach Strawberry Sticks Chenopodium Foliosum is an annual herb native to Europe. 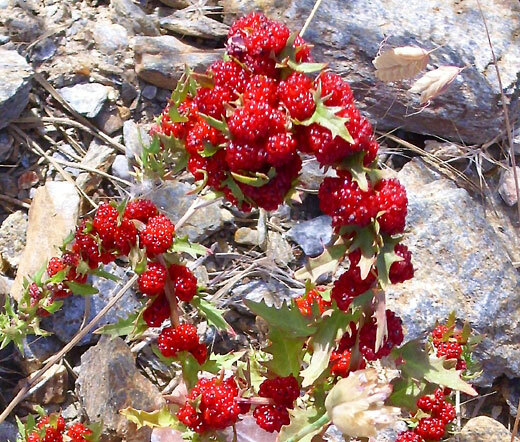 It is easy to germinate Spinach Strawberry Sticks seeds, and also named Strawberry Goosefoot or Leafy Goosefoot this unique annual has base branching habit, features spiky, light green foliage, and produces attractive, strawberry-like, red berries. The berries appear all along the stems from top to bottom, and their striking red color is eye-catching. 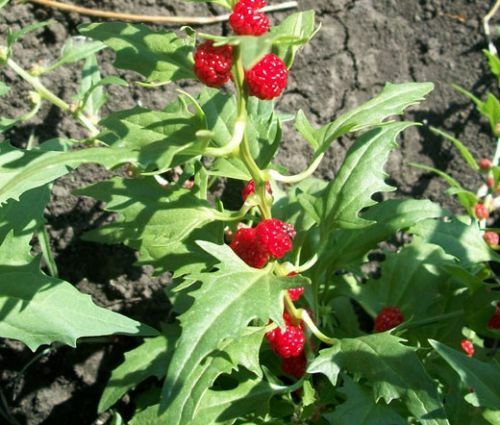 Spinach Strawberry Sticks is a highly attractive flowering herb that is useful for both the herb and flower garden. Strawberry Goosefoot looks great in borders and containers, and the plant can be grown in full sun or partial shade. The leaves of Chenopodium Foliosum can be cooked like spinach, and its edible fruits are often used to decorate fruit salads.